This summer was extremely smoky in Metro Vancouver due to the devastating forest fires which swept through the province and Washington State. The Air Quality Health Index was at a higher risk state in our region for multiple days. As someone who has asthma, I was acutely aware of the link between air quality and health. Air quality has an impact on human health. At Metro Vancouver’s Climate Action Committee, Michael Brauer who is a professor in the Faculty of Medicine, School of Population and Public Health at UBC delivered a presentation on air quality and our health in Metro Vancouver. 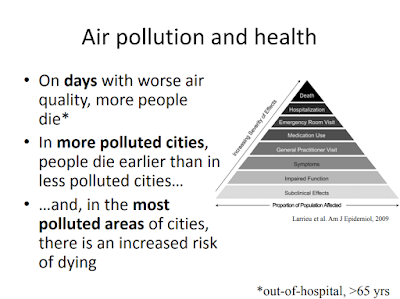 The following slide from his presentation sums things up: increased air pollution results in more people dying. 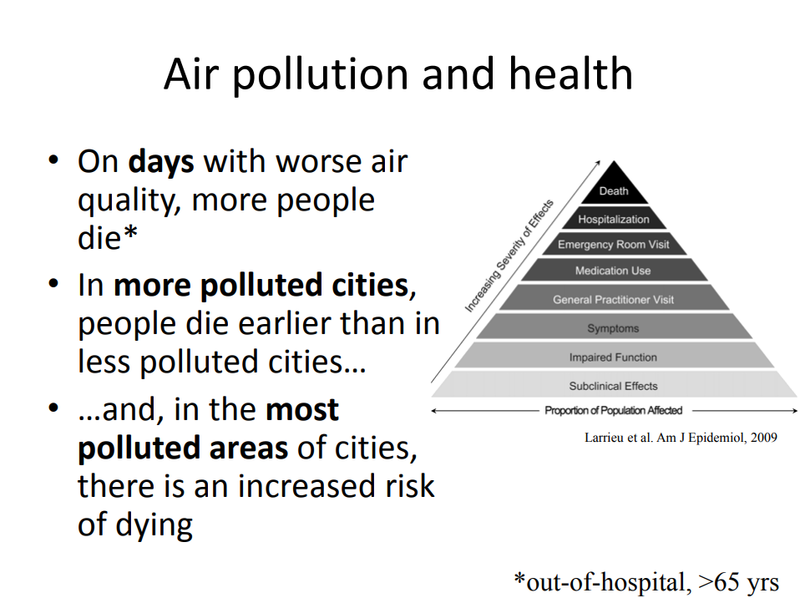 Air pollution and health. Select slide to enlarge. 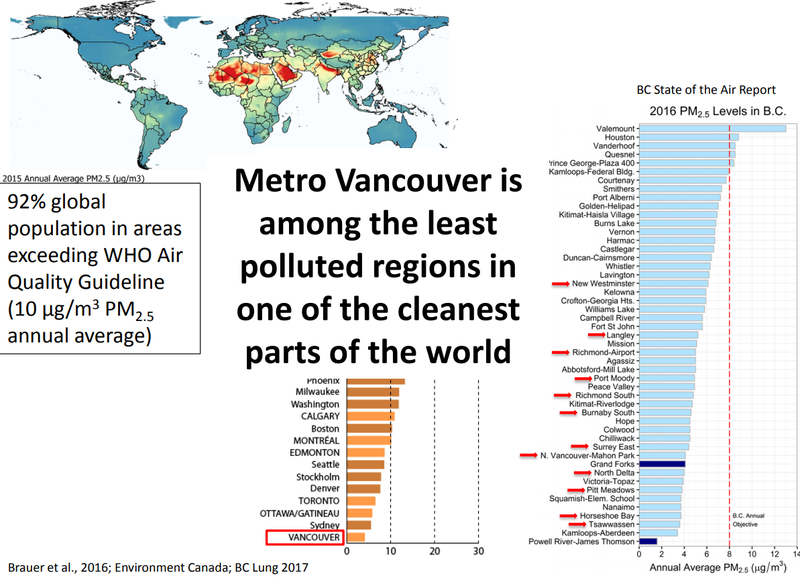 Metro Vancouver generally has some of the cleanest air of any major region in the world, but we still have room for improvement. Fine particulate matter —released when wood is burned— causes increased mortality rates. In fact Brauer noted in his presentation that “on cold days and days with highest biomass contributions [there is a] 19% increase risk of heart attacks.” Biomass contribution means burning wood. Air pollution in Metro Vancouver and other world regions. Select slide to enlarge. In Metro Vancouver, about 27% of all wood burning is from 100,000 fireplaces and stoves. These are generally the single largest source of wood burning in the region, and have a negative impact on people’s health. The Metro Vancouver Regional District has regulatory authority over air quality, and is looking to ban some residential wood-burning appliances in our region from being used. In 2020, the regional district is proposing to only allow indoor wood-burning appliances to be used between September 16 and May 14 expect cooking appliances which could be used year-round. It is good that Metro Vancouver is proposing to take action to reduce wood burning in our region, but the “in case of hardship” clause may make the regulation more educational than anything as it would be hard to enforce.